The great thing about forex spot trading is that it is highly liquid because in essence it consists of short term trades. Traders are attracted to liquidity because it offers them the freedom to close or open their position when they choose to, allowing investments to be highly accessible. In other words, liquidity allows traders the freedom to stop worrying about possibly getting stuck due to a lack of market movement and interest. Trading what is referred to as the G7 major world currencies are thought to be the most liquid market. In this extremely active 1.5 trillion $US per day market, most major banks actively provide the market with both buy and sell movement. High market liquidity allows most trades to be executed at one single market price. The single market price helps traders to avoid the 'slippage' problem that sometimes take part when using other exchange-traded instruments, which only offer limited quantities to be traded at a time at one given price. Self-Traders who are trading spot Forex have the freedom to trade foreign currencies on a largely leveraged basis, up to hundred times plus their trading funds. For instance, an investment of $10 000 that is leveraged 100 times would allow a self-trader to do spot trading of up to $1, 000, 000 worth of any type of currency. Leverage thus enables the FX spot trading trader a smaller amount of money to take part in trades alongside the biggest traders on earth, including the largest banks. 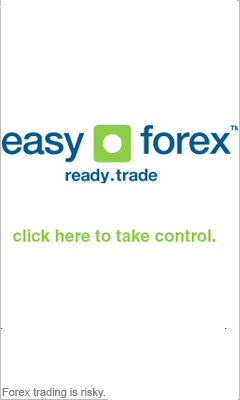 It is therefore quite simple to see why foreign currency spot trading is seen as one of life’s great trade opportunities. A great advantage of the Forex spot trading market is that it has no time constraints, as it is open 24/7 throughout weekdays, closing on Friday afternoons for the weekend. This means that you will always be able to identify trade opportunities as the European Market will be open on one side of the world while the Asian Market is closed on the other side. This is why Forex and foreign currency spot trading is sometimes referred to as "the Market that never sleeps". This is great news for spot trading traders as they react to constantly updated breaking news, rather than sitting and waiting for the opening bell, as is the case with almost all other markets. This enables traders trading spot Forex to take positions that anticipate what impact an important event or announcement will have on the exchange rate. Forex self-traders also have more flexibility with respect to their desired FX spot trading quantity. Most Clearinghouses allow traders to open and fund their trading account with quite a small amount of money, although we will not recommend less than $5 000 for margin-requirement risk management. Self-traders can of course also trade any part of the amount of money in their account, and specifically tailor trades to their own risk tolerance and needs. All these advantages of foreign currency spot trading makes it every the more enticing for traders to take advantage of this special type of forex trade opportunities.